As you may (or may not) already know, there are a number of CSCS Cards. Some are red, some are blue, one or two are green and then there are others which are either black, grey or even yellow. The colour-coding is meant for differentiation and ease of recognition. Red Cards are stop-gap arrangement for workers to continue working till they get the relevant CSCS Card. It gives workers limited time to register for, and complete the construction related qualification required for the card. Since you can’t renew this card – nor can go back to any unskilled card – you can’t abuse this privilege and play for time. You have to move up to one of the skilled cards, such as the Blue Skilled CSCS Card or the Gold Advanced Craft CSCS Card, just to name a few. There are two Red CSCS Cards available: the Red CSCS Trainee Card and the Red CSCS Apprentice Card. What is a Red CSCS Trainee Card? This card is for those individuals who are studying for a construction related qualification at a college or university. You need to register for the relevant construction related qualification and pass the appropriate CITB Health, Safety & Environment Test to obtain the card. The card is valid for 5 years and is non-renewable. Since its non-renewable, you are required to complete the NVQ and move up to a higher-level card such as Blue or Gold CSCS Card. Please note that SSSTS, SMSTS and NEBOSH General Certificates are not valid qualifications for this card. What is a Red CSCS Apprentice Card? This card is for those individuals who are going through a recognized apprenticeship framework. Should your apprenticeship fulfill certain criteria, you may not have to take the CITB Health, Safety & Environment Test. Please check with your Apprenticeship Marketing Agency. This card is valid for 4 years and is non-renewable. Upon this card expiring, you are expected to get a skilled CSCS Card. • Continued access to construction sites: To work, you require access to site. For access, one need a CSCS Card. That’s where the Red Trainee Card comes to your rescue. 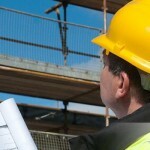 • Ensure a safer and healthier workplace: You have to pass the CITB Health, Safety & Environment Test to obtain the card. This means you have a decent level of safety-training to ensure a safer and healthier workplace. • Shows your sincerity and competence to employers: Getting a Red CSCS Card means you are serious about a career in construction. That you plan to acquire further skill and competence and move up the construction hierarchy. Employers seek this kind. All the time! At Construction Helpline, you don’t need to look anywhere else when it comes to getting a Red CSCS Card. Our team of experienced advisers are available Monday to Saturday, ready and waiting to take your call. So what are you waiting for? Give us a ring on 0207 199 9800.